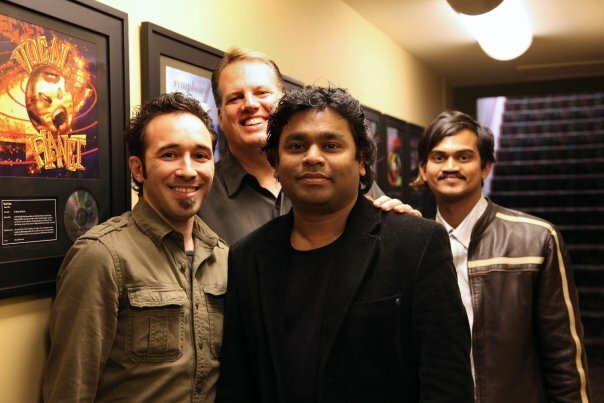 Oscar-winning composer and longtime Spectrasonics user AR Rahman recently talked to us about his creative use of Omnisphere in his acclaimed score for Danny Boyle’s film 127 Hours — Boyle and Rahman teamed up previously in the worldwide smash hit Slumdog Millionaire. Shortly thereafter, Time magazine named Mr. Rahman as one of the world’s ‘Top 100 Most Influential People.’ He is one of the biggest selling musical artists of all time, having sold over 200 million records. 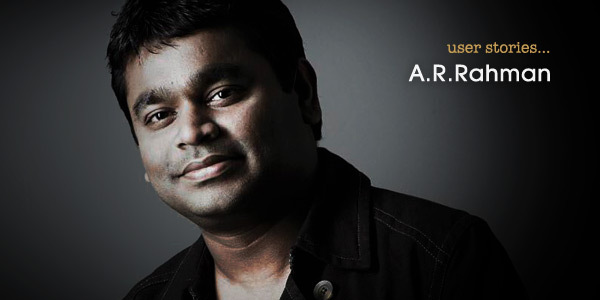 AR Rahman’s score for 127 Hours is nominated for a Golden Globe Award in the “Best Music” category. Check out the music from 127 Hours on Apple iTunes. After his multiple Oscar wins, Mr. Rahman stopped by the Spectrasonics’ studios to meet Creative Director Eric Persing and tell us about his move to the Los Angeles area from India with plans to score more movies. During the visit, Eric and sound designer Diego Stocco showed A.R. the classic 1970’s “Optigan” keyboard instrument that used clear plastic ‘records’ to play sounds.